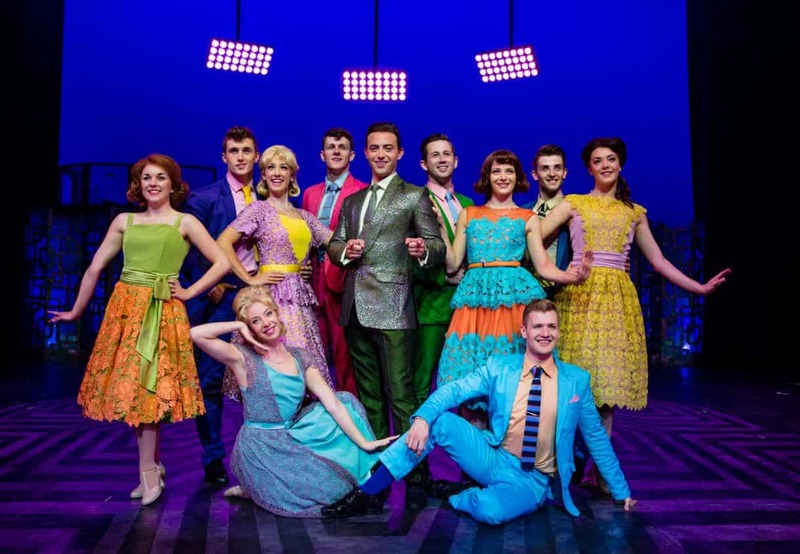 Hairspray, the smash hit and award winning Broadway musical has arrived at the stunning Birmingham Hippodrome this week. 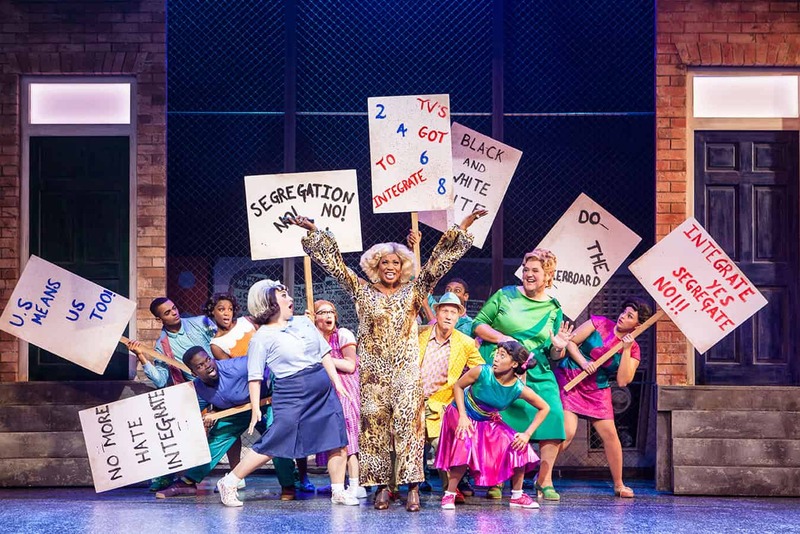 The major UK tour of Hairspray is visiting more than 30 venues across the length and breadth of the UK and Ireland until early summer 2018, and for one week only it’s at Birmingham Hippodrome. Featuring the iconic music and lyrics by Academy Award, Tony and Emmy winning duo Marc Shaiman and Scott Wittman, the much loved musical comedy is choreographed by Olivier Award-winning Drew McOnie (with direction from Paul Kerryson). 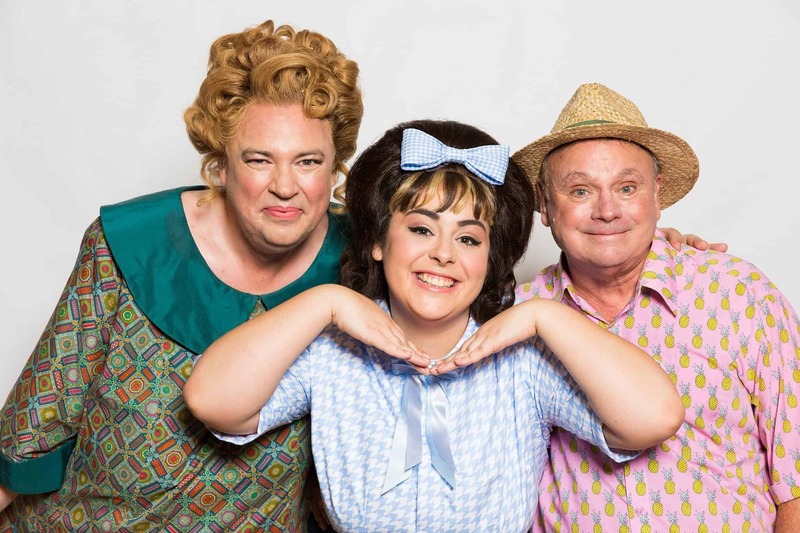 Set in 1960’s Baltimore in the United States of America, it tells the story of Tracy Turnblad, a big girl with big hair and an even bigger heart, is on a mission to follow her dreams and dance her way onto national TV. Tracy’s audition makes her a local star and soon she is using her new found fame to fight for equality, bagging local heartthrob Link Larkin along the way. 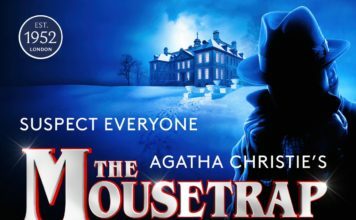 The production featured a selection of great songs, huge dance numbers and a sprinkle of humour, the family friendly and heart-warming story shows how good comes out triumphant over evil. The cast features some familiar faces as well as some new. Rebecca Mendoza who plays the confident and talented Tracy stole the show with her incredible booming vocals, boundless energy, and loving personality – it’s also her professional debut. 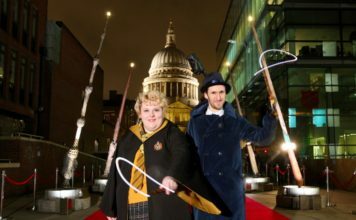 Matt Rixon was born to play Edna and Norman Pace is adorably cute as Wilbur. 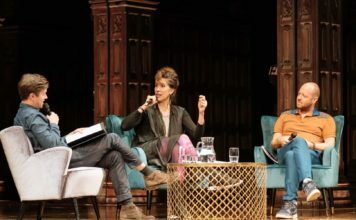 The two together on stage as Tracy’s parents were theatre gold. Their hilarious and heartfelt performance of ‘Timeless To Me’ had the audience in stitches while still creating the perfect romantic atmosphere. Brenda Edwards was a marvellous Motormouth Maybelle, especially during the second half with her inspiring performance of ‘Big, Blonde and Beautiful’. 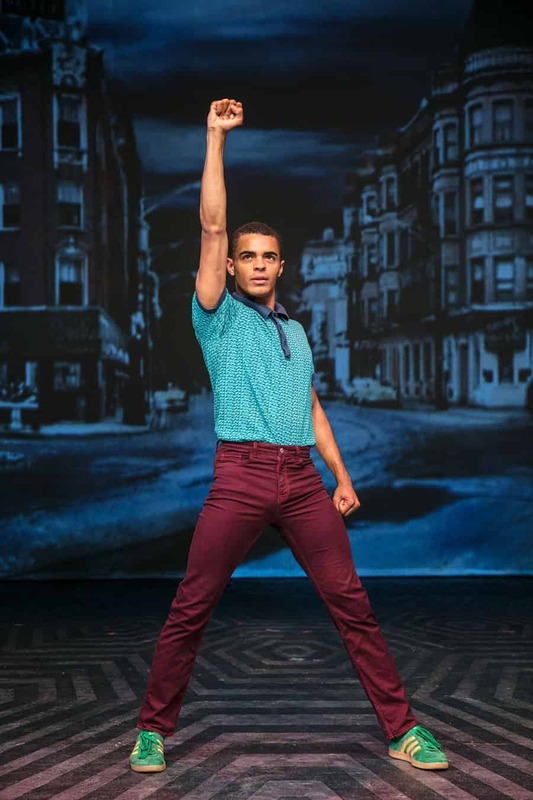 Layton Williams was an energetic and flipping-fantastic (as his mind-blowing moves graced the stage) Seaweed. 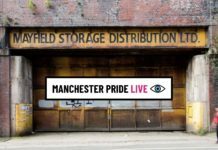 Gina Murray and Aimee Moore are the self obsessed love-hate mother and daughter duo, Velma and Amber Von Tussle. Gina’s solo ‘Miss Baltimore Crabs’ had the theatre in the palm of her hand and the choreography that went with the performance was oozing confidence. TV host Corny Collins, played by the dashing, Jon Tsouras. Annalise Liard-Bailey, played Tracy’s best friend, Penny Pingleton, her vocals are not to be messed with, and her transformation from good girl to badass was utterly staggering. The set looked very simplistic but when it needed to it transformed into some pretty incredible scenes from apartment rooms to the television studio, it was extremely effective, it was visually superb in the number “Mama, I’m a Big Girl Now” with Tracy, Penny and Amber coming together in their separate scenes. The costumes were on point, almost on-par with the 2007 blockbuster film. The sterling band at the rear backdrop of the stage was mesmerising. Overall Hairspray is a beautifully magnificent production that’ll have you dancing along in your seat by the end, and have you standing at the curtain call with applause. It almost felt like a concert with the belting vocals and dazzling lighting and costumes. Get yourself down to the Birmingham Hippodrome this week to be part of the action! Hairspray runs until October 14th. Hairspray is a beautifully magnificent production that'll have you dancing along in your seat by the end, and have you standing at the curtain call with applause. It almost felt like a concert with the belting vocals and dazzling lighting and costumes.